Stripping is the process of taking off the old sealer from the floor, and bring floor to its original condition. Sealing is the process of coating the floor with new sealer. We provide best stripping and sealing sydney with accuracy and perfection. The advantage of applying a high quality floor sealer is protection and the enhancement of valuable asset. Floors are exposed to unrelenting abrasion from foot and high traffic, spillages and dirt, which without protection can wear it away and cause dulling of the floor surface. Once coated with a suitable sealer, the floor is protected from these stuffs. Also the surface becomes easy to clean. The colour of the floor are enhanced and the floor will have a higher and even more shine. By implementing a full protection system using complementary sealers and maintenance products, this protection and enhancement will last indefinitely. we can strip and seal almost all kind of hard floors. post building floor cleaning; builder could leave mess and many kinds of residue which could make a new floor looks like old. 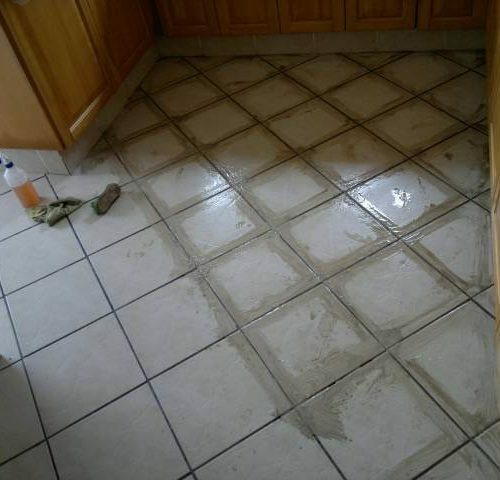 We can clean any kind of residue like paint marks, grout haze, glue and any heavy dirt left from builders.